East Anglian Sea School offers the RYA Short Range VHF Radio Operators Course (SRC). This is the radio operator qualification which authorises the holder to operate a VHF radio fitted with Digital Selective Calling (DSC) on board any British vessel which is voluntarily fitted with radio equipment. All new VHF sets are either fitted, or can be interfaced, with DSC allowing calls to specific vessels. If you hold the ‘old’ VHF licence (pre-1999) you need to upgrade to this qualification if you purchase new equipment. A radio is an important piece of safety equipment on board and it is vital to understand the correct procedures to avoid clogging up the airwaves with unnecessary transmissions, which could block out a Mayday distress call. If you own a marine VHF radio, hand held or fixed on the boat, you are required by law to hold an operator’s licence. 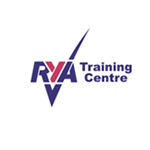 The RYA Short Range Certificate course is now in line with other European countries as per the rules and regulations under CEPT (The European Conference of Postal and Telecommunications Administrations). This means the training has gone up to 10 hours with separate examination making the classroom based course longer in duration. We would expect you to have completed 3 hours of home study using the VHF Radio Handbook G31 and 7 hours of classroom study commencing at 0930h. 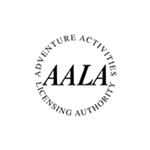 Please be aware the course fee does not include the licence fee - this is an addtional £60 payable directly to the RYA. Using VHF radio simulators you will be coached through the course by one of our knowledgeable VHF instructors who will get you prepared for the exam, which is conducted by an independent RYA Assessor at the end of the course. It is advisable that you learn the phonetic alphabet and have a good understanding of the Mayday procedures before commencing this course. RYA VHF Handbook – posted to you when you book on. An additional fee of £60 and a passport sized photo is needed for your licence. You are still required to attend a training center to take the exam, we can arrange this for you. 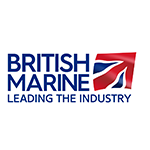 GMDSS Short Range Certificate if successful, after which the candidate has to apply to the RYA for a licence at an additional cost of £60 (payable to the RYA) and provide a passport sized photograph. Basic radio language and protocols including pro words such as over, say again, out etc. How to send an urgency alert and a safety call.